Many hobbies can be enjoyed alone or with the participation of a few other like-minded folk. In situations like this, it’s not particularly difficult to simply enjoy in isolation or with a supportive other, with no impact on anyone else. Beekeeping is a little different. You will have no direct control over where your bees fly or what interesting places they visit. Generally this creates no problem. Bees just get on with their business and, even when many are out foraging, they often go unnoticed by anyone other than you. Of course, the former can be a reason for the latter! But although everyone has different circumstances, there are approaches the beekeeper can take to proactively minimize or mitigate these two factors. Can I be a beekeeper without stressing my neighbors? Yes, beekeeping should not be a stressful pastime. It offers a real sense of peace and being at one with nature. There are ways to calm the nerves of others. Important note: For many, this lesson will be a false alarm! Not everyone has issues with neighbors – in fact, the majority of beekeepers operate in peace and all is good in the world. For those beekeepers, this lesson may seem overkill. It is intended, though, for those beekeepers with the potential for neighborly problems. Let’s face it, not everyone has a positive view of bees. Thankfully, awareness of the amazing benefits of bees is on the rise and that’s a good thing. More people today at least listen when it comes to the idea of beekeeping and that can help enormously with the discussion. But for some, the first thought is often that of the venom-filled sac our girls carry around! The other main thought is of bees swarming and the mistaken idea that they are specifically out to find victims, rather than the more peaceful and normal intent of simply finding a new home! These are the more negative impressions of bees and beekeeping. As a general rule, they are misplaced and misguided. Bees only sting when they feel threatened and swarms are docile bees, full of honey and on their way to a new home. Yet things can occasionally take an unfortunate turn and it is a mistake to assume these things cannot happen. So a respect for these concerns is in order and we look below at how to discuss them with neighbors. Perhaps the most valid concern is when someone nearby is known to be allergic to bee stings. Put yourself in the position of someone who is indeed allergic to bee stings (it’s around 2% of the population), only to find their neighbor wants to install one or more homes for these stinging, flying threats! What if my neighbors are allergic to bee stings? This should be discussed carefully with the neighbor while bearing in mind that being stung by a bee can happen even when there are no beehives in the immediate neighborhood. Regardless of how your neighbors feel, you should be aware of legal regulations for the keeping of bees. Generally, authorities are more aware of the value of beekeeping than in the past and in most places you won’t face an issue. There may sometimes be a need to register your beehives, though. Water is as essential to bees as it is to us, with the difference that we wouldn’t want to walk into the neighbor’s yard and start drinking uninvited! If the neighbor provides easy access to water like, oh, a swimming pool then there are situations when your bees might be tempted. This needs to be considered. The factors above are mainly about the problems, perceived or otherwise, that your bees can cause your neighbors. But the reverse is also at play, when your neighbors freely use pesticides dangerous to your bees. This also needs some thought, particularly since this is less within your control. 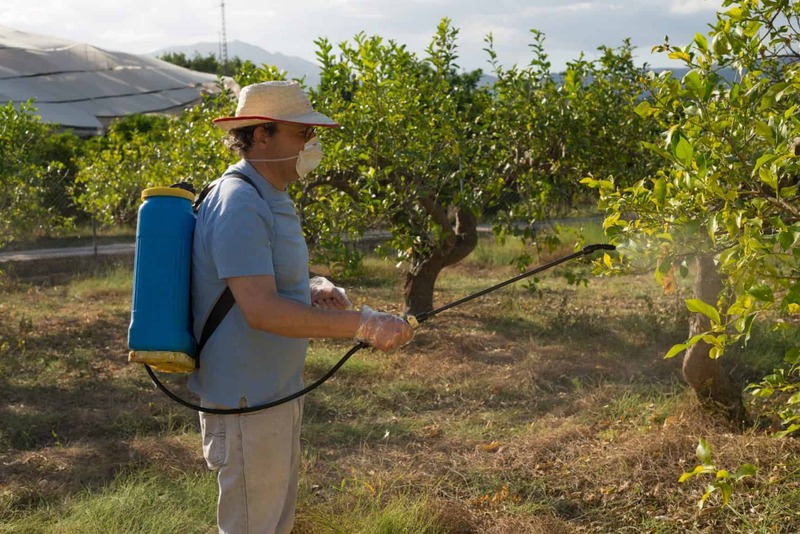 In this case, an awareness of pesticides that cause problems and a gentle, thoughtful discussion with – hopefully – an understanding neighbor can work wonders. When you decide to keep bees you have a decision to make about how transparent you will be with the neighbors. To some extent this is dependent on the proximity to neighbors. In many cases, a beehive can be positioned out of sight of the neighbors, which is a good move anyway, regardless of your relationship with neighbors. However, given the mobility of our bees there is often an obligation to bring this up with the neighbors. Generally, PerfectBee suggests that an open discussion with your neighbors is the way to go. If you go down the “open and transparent” path, the first course of action is to educate your neighbors. Have a positive discussion about the benefits of bees, including how it will help the local environment – especially your neighbor’s garden! Bring up the idea that the neighbor might be interested in watching, even if from afar. Most folks are curious and will be interested to see the bees as you install them or undertake an inspection. Some beekeepers have even been known to create pamphlets to hand out to the neighbors when questions are asked. This is rarely necessary and, quite frankly, has the potential to make the question of bees seem much more of an issue than it might be otherwise. Another approach is to install a beehive first and answer questions second. This somewhat more cavalier is based on the idea that if the hive is out of sight, there’s a good chance neighbors may not even be aware of the bees. If that is the case, why not say nothing and answer any questions after the fact? The success of this philosophy depends on various factors, including the ability to place a hive in a less-than-obvious location. In many circumstances it works just fine and the first sign the neighbors have is either the extra color in their garden over the warmer months – or you knocking on the door with a jar of honey. As a general rule, it’s difficult for a neighbor to pick a fight if s/he’s been unaware of the beehive in the year since it was installed and you come offering gifts! That said, PerfectBee recommends an open discussion with you neighbors, to answer their questions and put their mind at rest. But we also agree that the “just do it” approach can be viable in some situations too, providing it’s legal and has no impact on your neighbors. Check and make sure you understand whether you have the legal green light, including registration where necessary (which is more likely in an urban environment). Initiating a discussion with a potentially difficult neighbor is likely to be an exercise in futility if s/he has the law on his or her side. Before you set down the path of becoming a beekeeper do a little homework. It doesn’t take long and can potentially save a lot of wasted time, effort and angst. A quick note – if local regulations do not allow beekeeping that’s a tough break but please respect the law. Inconsiderate and law-breaking beekeepers help no-one. You are also a bee sting away from inviting a legal discussion you really don’t want! What if its illegal to keep bees where I live? If you find yourself in this unfortunate situation then consider being the custodian for hives placed legally on someone else’s land. You might love the idea of beautiful beehives decorating your yard in their own way, but don’t flaunt it! Even if you have the neighbors on your side, there’s always the chance of a new, less accommodation neighbor, moving in. Additionally, passersby don’t really need to see your beehives. 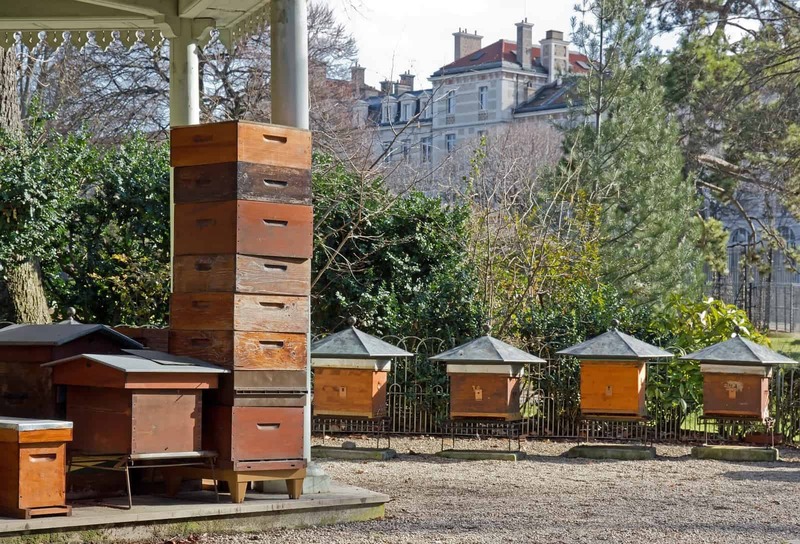 Therefore, consider placing your hives in a quiet space, away from the glare of the public. This can be a difficult discussion. First, you really have no control ever where your bees travel. Even if you have an accommodating neighbor willing to switch to a more bee-friendly pesticide, the next house down the road may be the issue. All you can realistically do here is to discuss with those within your immediate scope of influence and hope your bees find plenty of foraging resources within a close area. Of course, the other potential problem is a sensitive or aggressive neighbor who doesn’t take too kindly to be being told to change the pesticide he’s been using for years, just to suit your bees! Quite honestly. at this point this become more of a human relations challenge than anything else and that’s a little beyond the scope of this lesson! Realistically, the only way to potentially “win” this discussion is through calm, reasoned discussion in the hope that you can relay the benefits of bees and perhaps encourage your neighbor to take an interest. If the neighbor is still taking a contrary view then he holds the “weapons” (the pesticide) and you’ve likely lost the discussion if it is turned into an argument. 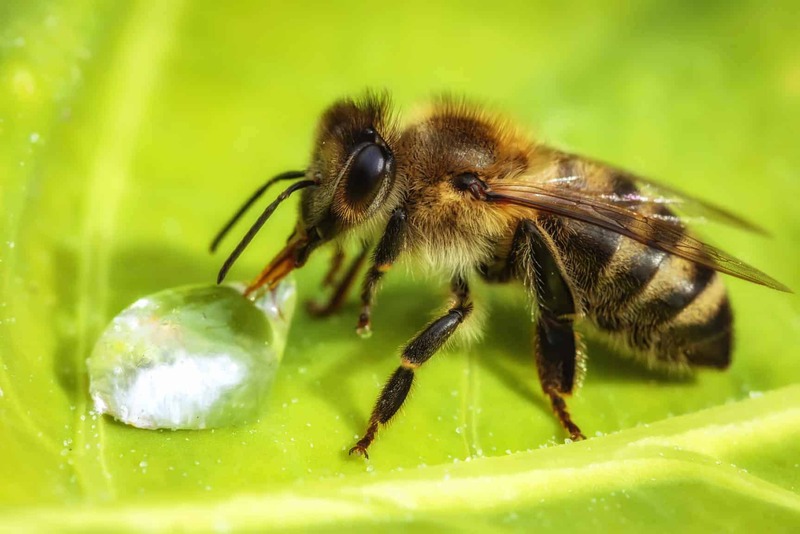 It is a beekeeping best practice to make sure your bees have easy access to water. Generally it’s very easy to do this in your own yard. Do just that. 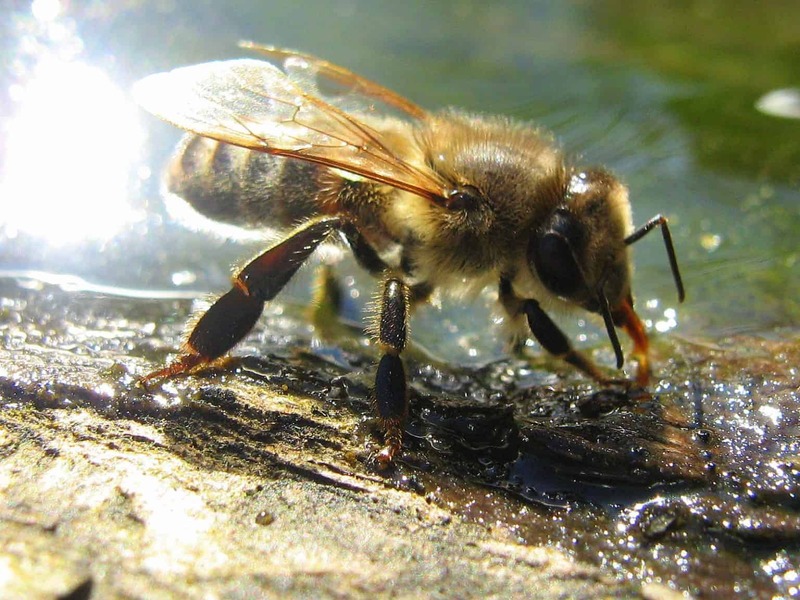 Without an obvious water supply, bees are skilled at finding water nearby, such as around neighbors swimming pool (the one with all the small kids enjoying the sun)! Just do what all beekeepers should do anyway, namely make it really easy for your bees to find water. 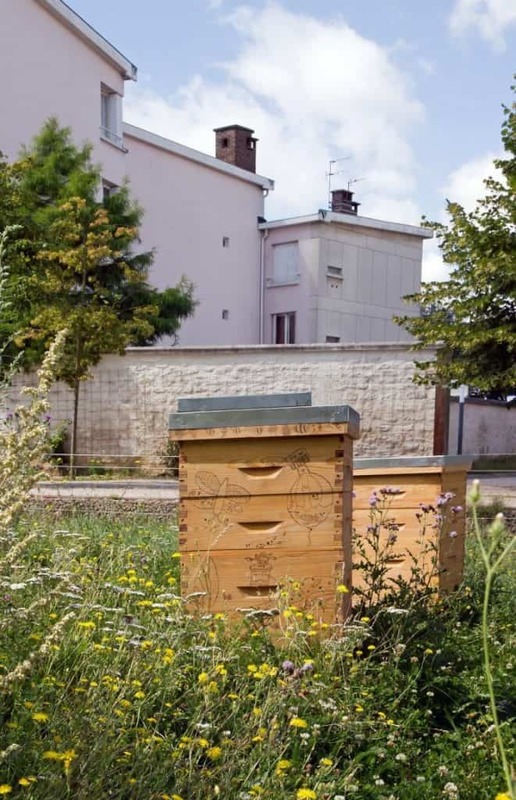 If things are looking good and you have managed to gain the support of your neighbors, reluctantly or otherwise, take advantage of this when you install your beehive and install your bees. Bring up the bees proactively with your neighbors and invite them to play a role. When you are installing that package of bees, it’s great if you have a couple of neighbors 15 feet away and absolutely fascinated with the idea. In fact, ask them to take photos or a video. That often seals the deal! You might eventually get the knock on the door from a neighbor, telling you about the switch to a more bee-friendly treatment of his plants! And then there is the payoff. To be fair, we are asking our neighbors to trust us and to accept these stinging insects into the neighborhood. So if they are responsive and understanding, then what better way to say thanks than a jar of glorious, sweet, “home-made” honey. Thanks! I appreciate the information and recommendations. Most excellent information. My neighbor installed their hives 3 feet from where we park our cars in the driveway. I found out when I saw them in bee suits. Bees are constantly flying around the cars. I would suggest placing the beehive away from where your neighbors frequently walk or garden. We agree, Kathy, with the information provided. Without knowing the specific details, we’re strong proponents of the notion that, as beekeepers, we should practice responsible beekeeping. This has various implications, but an understanding and appreciation of the impact on those around us (thankfully generally negligible, aside from the positive impact of pollination) should be kept in mind. We do hope your beekeeping neighbor can have a reasonable and respectful discussion with you about this and understand your perspective. We wish you well. We have a bee box on our roof as bees constantly come to our house. They move into the eaves and we have to pay to have them removed every time. It was suggested that we keep a box on our roof as they would rather move in there and that way we would not have to pay to have them removed. As soon as bees move into the box we call the beekeeper to collect them. We peesonally do not do beekeepi g.
Our neighbour , who breeds with dogs, 1 year old dog was stung and had an allergic reaction and consequenty died. He now wants us to pay the vets bill. What do we do? My question: two of my neighbors have found huge bee colonies in their attics and had to do extensive/expensive removal and rebuilding procedures. They claim it’s because of other bee boxes in the neighborhood. Do they have a case?